New York-based Citrin Cooperman (FY13 net revenue of $133 million) announced that Jeffrey Baliban has joined its New York City headquarters as a partner in the valuation and forensic services group. In his more than 30 years of experience, Baliban has been involved in many complex commercial dispute matters as an expert in accounting, business valuation, economics and finance, in relation to quantifying economic impact and damages. Baliban has devoted considerable study on how changes in internal operations, external market factors and other anomalous events can affect a business’ profits and value. 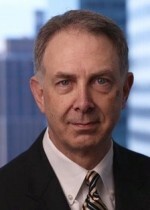 Prior to joining Citrin Cooperman in 2015, he held senior positions at leading global accounting and professional services firms as well as a prominent economics consulting firm.